Alejandro Serena Llinares (born 1975) studied piano at the Conservatorio Superior Música in Valencia with pianist and composer Federico Castellano. On the advice of chief conductor and mentor Miquel Rodrigo i Tamarit, he arrived at Conservatorium Maastricht in 1993, where he studied under the guidance of Tonie Ehlen. Llinares also attended lessons and masterclasses with Peter Donohoe, Jeroen Riemsdijk, Carola Grindea, Peter Feuchtwanger, Barbara Grajewska, Joop Celis, Alberto Giménez Atenelle, Willem Brons, Alan Weiss, Semyon Skigin and Diane Andersen. Alejandro has given recitals with various ensembles in the Netherlands, Germany, Belgium and Spain. 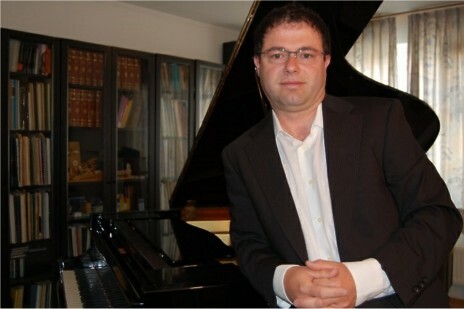 He has taught Piano Methodology, Ear Training and Piano Accompaniment in the Classical Music department of Conservatorium Maastricht since 2006. Since 2009 he has been involved in European projects such as Grundtvig, Afita and MMM! (Mentoring Music Matters!) in collaboration with various conservatoires in Spain, Germany and the Netherlands. In 2010 Alejandro successfully introduced the curriculum of the young piano talent class at Conservatorium Maastricht. Many of his students are have won prizes in various competitions. Alejandro is currently working together with Tonie Ehlen. Young talent department.